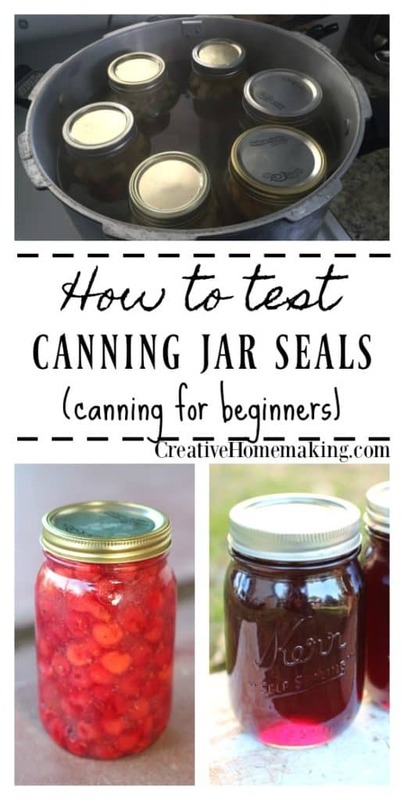 April 28, 2018 0 comments on "How to Test Canning Jar Seals"
Cooling your jars and testing your canning jar seals are two very important steps in the canning process. 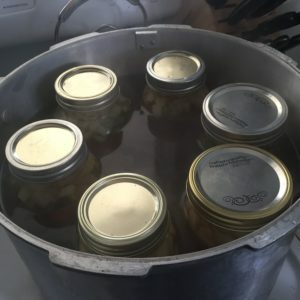 Canning takes some time and effort, but you will reap the rewards of your canning efforts all winter, as well as save money on your grocery bill. This post will give you some expert tips on testing your jar seals to make sure your foods are safe for storing long term. After removing your canning jars from the canner, cool the jars at room temperature for 12 to 24 hours. When removing hot jars from the canner, do not re-tighten the jar lids. Retightening hot lids may cause seal failures. Cool jars on racks or towels to minimize heat damage to countertops. The food level and liquid volume of raw-packed jars will be lower after the jars have cooled. Air is exhausted during processing and food shrinks. If a jar loses a lot of liquid during processing, do not add more liquid. Check for sealed lids as described below. Method 1. Press the middle of the jar lid with your finger. The lid is not sealed if the lid springs up when you release your finger. Method 2. Tap the jar lid with the bottom of a teaspoon. If it makes a dull sound, the lid is not sealed. If food is in contact with the underside of the lid, it will also cause a dull sound. The sound will be high pitched if the jar is sealed correctly. Method 3. Hold the jar at eye level and look across the lid. The lid should be concave (curved down slightly in the center). If the center of the lid is either flat or bulging, it may not be sealed. If one of the jar lids fails to seal, remove the lid and check the rim of the jar for tiny nicks. Change the jar if necessary, add a new, properly prepared lid, and reprocess within 24 hours using the same processing time. Headspace in unsealed jars may be adjusted to 1-1/2 inches and jars can be frozen instead of reprocessed. Foods in unsealed jars can be stored in the refrigerator and consumed within several days.